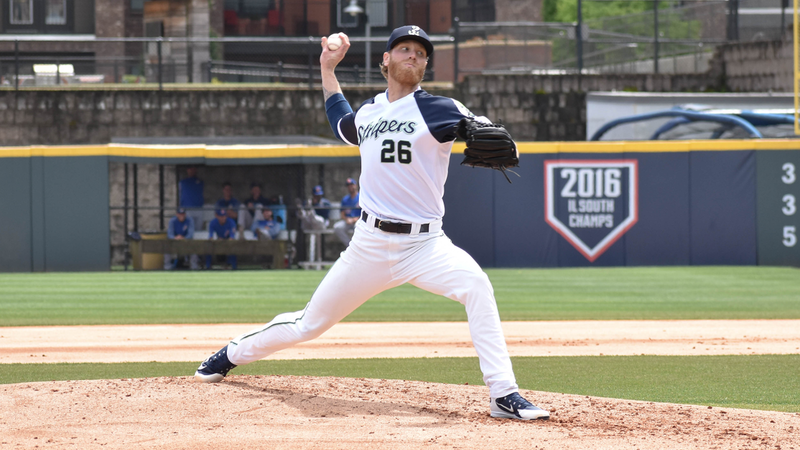 LAWRENCEVILLE, Ga. - Mike Foltynewicz made his second rehab start as the Gwinnett Stripers (4-2) were shut out by the Durham Bulls (2-4) 3-0 on Tuesday afternoon at Coolray Field. Scoring Recap: Durham scored twice against Foltynewicz in the second inning as Jake Smolinski singled for a 1-0 lead and Nathan Lukes made it 2-0 with an RBI double. Facing Andres Santiago in the seventh, Jake Cronenworth doubled and scored on a single by Andrew Velazquez to make it 3-0 Bulls. Stripers Stats: Foltynewicz (L, 1-1) pitched 3.2 innings, gave up two runs on four hits and struck out five. He waited out a 43-minute rain delay in the second inning and finished with 61 pitches, 43 strikes. Jacob Webb and Dan Winkler each threw a scoreless inning in relief. Travis Demeritte, Austin Riley, Adam Duvall, and Ryan LaMarre all had one hit a piece for the Stripers. Gwinnett went 0-for-7 with runners in scoring position. Bulls Stats: Starting pitcher Jake Faria (W, 1-0) pitched 5.0 scoreless, four-hit innings and struck out seven. Four Durham relievers, including Emilio Pagan (S, 1), combined on 4.0 hitless innings. Postgame Notes: The shutout loss was Gwinnett's second of the season, first since a 6-0 loss to Norfolk on April 5. Rafael Ortega saw his five-game hitting streak snapped as he went 0-for-4. Quote: "All my pitches were working today, especially my changeup," Foltynewicz said. "I got a lot of swings and misses and I was throwing it to righties and lefties, which is what I need to work on. Other than that, everything went well today." Next Game (Thursday, April 11): Gwinnett at Louisville, 7:00 p.m. at Louisville Slugger Field. RHP Bryse Wilson (0-1, 5.40 ERA) for the Stripers vs. TBD for the Bats. Radio Broadcast: 6:50 p.m. on 97.7 and 93.5 FM "The Other Side of the River."